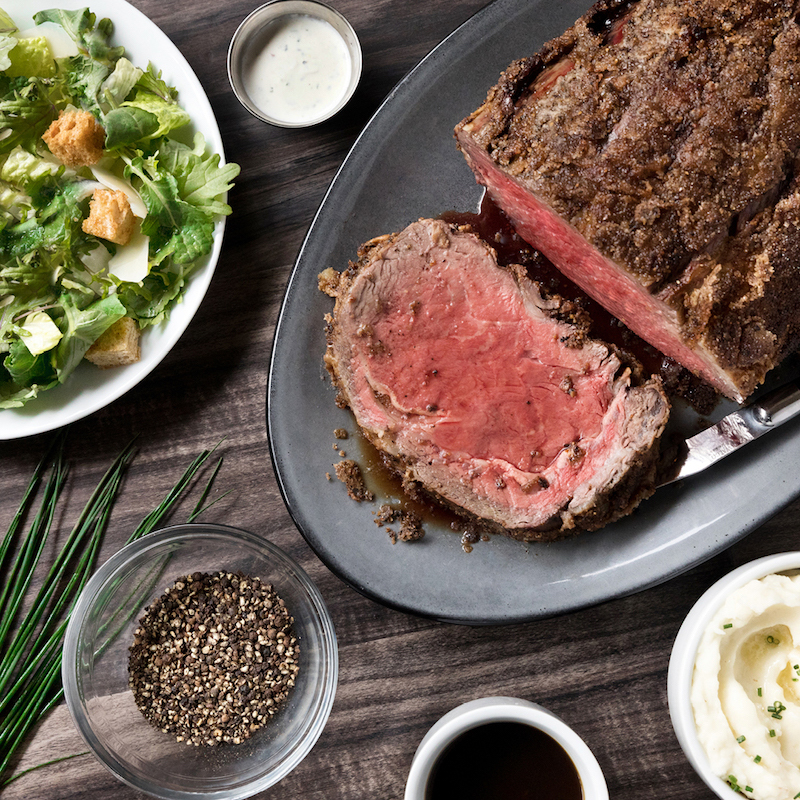 Prime rib is a beloved throwback dish making a colossal comeback. The big, beefy cut is traditionally roasted slow and low and served with au jus and horseradish sauce. Here are 9 restaurants for prime rib that you won’t soon forget. You know you’re in for a treat when one of the restaurant’s Master Carvers rolls up the 900-pound silver cart loaded down with food. After slicing off a cut from one of the four standing rib roasts, the plate is filled out with mashed potatoes, gravy, creamed spinach, and creamed corn. As if that’s not enough, the meal also includes the restaurant’s Famous Original Spinning Bowl Salad and Yorkshire pudding. 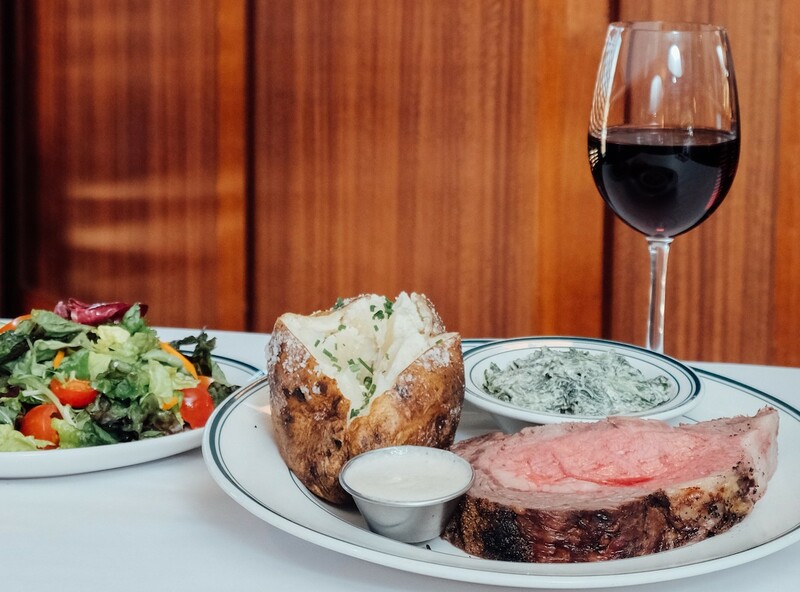 Make a reservation at Lawry’s The Prime Rib. TGIF! 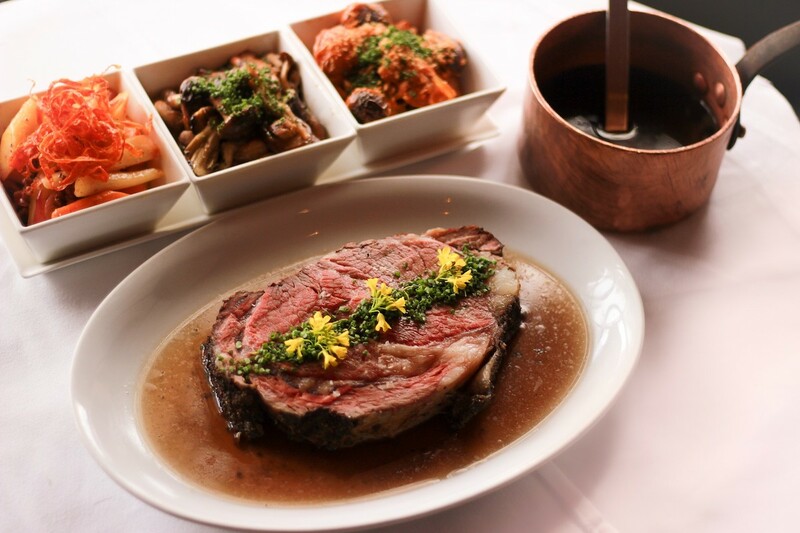 Every Friday, guests can score a 12-ounce cut of slow-roasted prime rib complemented by au jus and creamy horseradish. A baked potato, creamed spinach, and either a cup of soup or a starter salad complete the hearty meal. Make a reservation at Daily Grill. Here’s another reason for living for the weekend. Every Sunday, there’s a thick ‘n’ juicy prime rib on the menu. It comes with mashed potatoes, baby kale and romaine Caesar salad, and ice cream with shortbread cookies. Make a reservation at Paul Martin’s American Grill. Champagne Sunday brunch is innately awesome. 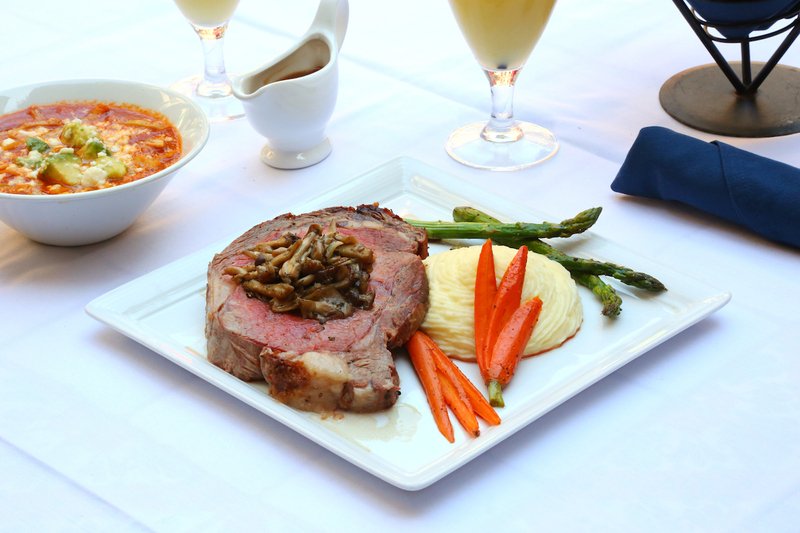 It’s even better when it includes prime rib with whipped potatoes, roasted carrots, and asparagus. Pour another glass of bubbly and toast your good fortune. Make a reservation at Mission Inn Restaurant. You have to call at least a day ahead to reserve the prime rib. Feeding up to a dozen guests, it’s a monster cut. Meat sweats guaranteed. Make a reservation at Seaspice. 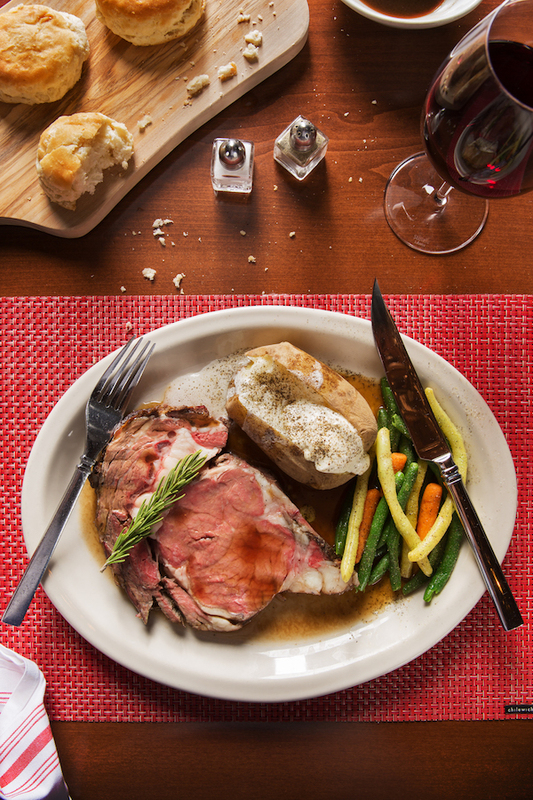 The $10.95 dusk-to-dawn prime rib special is a perfect way to nurse a loss at the casino. The robust cut comes with seasonal vegetables and baked potato. Consider it the beginning of your new winning streak. Make a reservation at Siegel’s 1941. 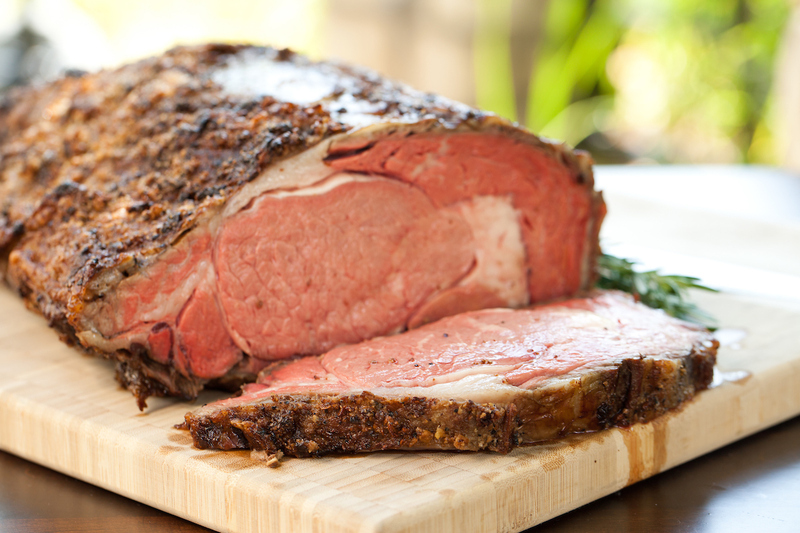 Choose a 14-ounce or a 20-ounce slice of the five-hour slow roasted prime rib. Both are served tableside with au jus. Complement your cut with a side or two, like rainbow carrots with orange and chorizo, wild mushrooms sautéed in a yuzu and shiro shoyu vinaigrette, and marble potatoes drenched with tomato and fennel sauce. Make a reservation at Alexander’s Steakhouse. 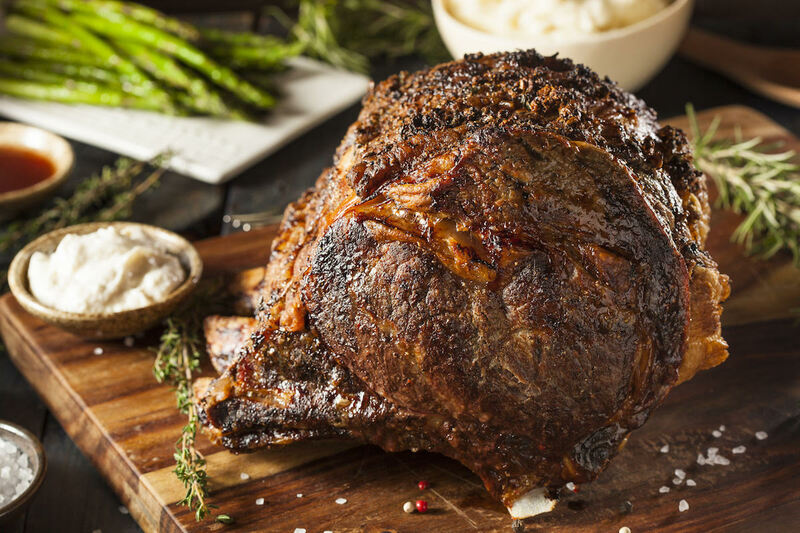 Rubbed with fresh garlic, sea salt, and cracked black pepper, the prime rib is slow roasted for six hours. Your choice of a 10-ounce, 16-ounce, or 22-ounce slab comes with horseradish sauce. Sides include mashed potatoes, wild rice, and creamed spinach. Make a reservation at Wildfire. 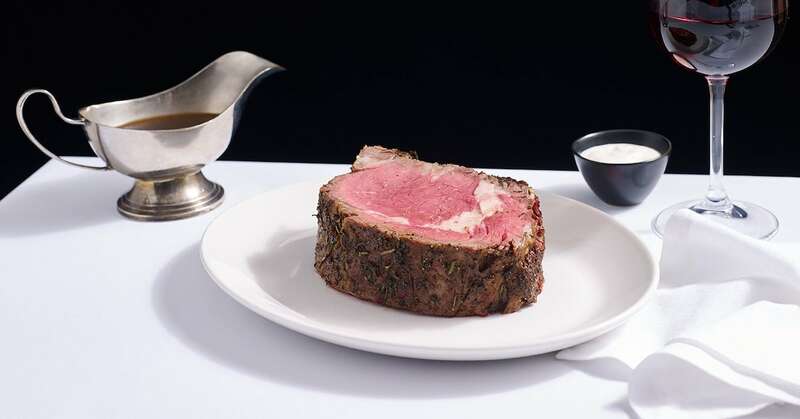 Del Frisco’s Grille, Washington, D.C.
Prime rib is seasoned with rosemary and thyme and served with the bone in to promote tenderness and flavor. To keep it classic, there’s au jus and creamy horseradish on the side. It’s only available on Friday and Saturday, so plan accordingly or be prepared to be disappointed. Make a reservation at Del Frisco’s Grille. 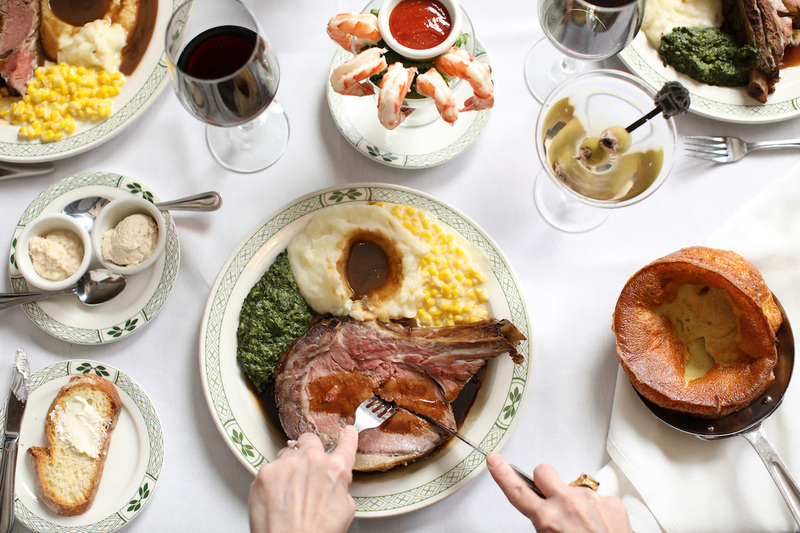 Have you been to any of these top restaurants for prime rib? Let us know here in the comments or over on Facebook, G+, Instagram, Pinterest, or Twitter. And, remember to snap + share your #dishpics with us on Instagram for a chance to win in our weekly giveaway. Photo credits: All photos courtesy of the featured restaurants.